Has fewer customer complaints compared with other companies its size for auto and home insurance. Home and auto insurance policies include identity theft and monitoring services, and other high-end perks. Chubb specializes in auto and home insurance for well-to-do customers. The company’s suite of products features generous coverage options and perks that aren’t usually available from other insurers. Agreed value for collision and comprehensive insurance: If you choose this option, you and the company agree on what your car is worth when you buy the policy. If the car is stolen or totaled, Chubb reimburses you for that amount. With a standard policy from other insurers, you’re reimbursed for the market value of the car at the time of the incident, minus your deductible. This is an important feature for owners of collector cars. See NerdWallet’s analysis of the best classic car insurance. Generous rental reimbursement coverage: If you need to rent a car because yours is in the shop after an accident, you can rent a vehicle as nice as the one you normally drive. 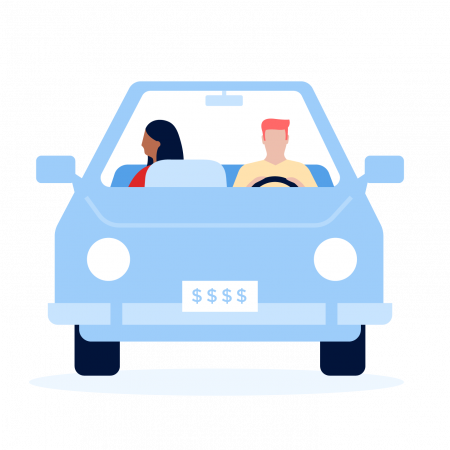 The coverage reimburses you up to $15,000 to rent a car, with no per-day limit. Coverage for original equipment manufacturer parts: When your car needs repairs after an accident, Chubb’s collision and comprehensive insurance pays for parts made by your car’s manufacturer. Other insurers often pay only for aftermarket parts, which are made by companies other than the carmaker and are less expensive than original manufacturer parts. Ultra-high insurance limits: You can choose up to $10 million in liability insurance and up to $1 million in uninsured/underinsured motorist insurance. Worldwide rental car coverage: A Chubb auto policy extends to damage to a rental car you drive anywhere in the world. Most car insurance companies limit coverage to rental cars in the U.S. and Canada. Chubb also provides worldwide auto liability coverage, for damage you cause to others, when you buy at least $1 million in liability insurance. Cash settlement: If you opt not to rebuild after total loss damage, or to rebuild elsewhere, Chubb will provide cash up to the amount of your policy. Most policies only reimburse or pay out directly for rebuilding costs. Replacement cost coverage: Chubb insures most belongings for the amount it would cost to replace them today, up to your policy’s limit. You can opt for a cash settlement instead. Chubb Wildfire Defense Services: This provides customers in certain locations with services to defend their home from wildfire threats. These include an assessment from certified wildfire fighters if a fire is heading your way and sending firefighters to your home if there’s a wildfire. Identity management services are included in all auto and home policies from Chubb. If you suspect identity fraud or theft, Chubb will connect you with a fraud specialist to help guide you through the resolution. It includes help in filing police reports and other documentation, developing a case file and credit monitoring for a year. Signature Suite is a service that provides specialized professionals and expanded insurance coverage to protect Chubb’s high-net-worth customers. It includes security consultations and diagnostics, and assistance with lost travel documents. Optional features include worldwide travel coverage and assistance, and services to help you hire and maintain personal employees or staff. Masterpiece Cyber Protection is a policy that can help restore your identity and reimburse for losses related to cybercrime, hacking, identity theft or cyberstalking. It also includes an assessment to determine which crimes you’re vulnerable to, with advice to prevent those. Property Manager provides hurricane assistance for customers with coverage on second or seasonal homes in select states likely to be hit by hurricanes. In your absence, a Chubb representative will inspect your home, provide a damage report, submit a claim on your behalf and start repairs after a hurricane. Chubb’s financial strength is “superior,” according to ratings agency A.M. Best. Financial strength is important because it indicates how well an insurer can pay claims. Chubb had fewer than the median number of complaints to state regulators in 2018 relative to its size for auto and home insurance, according to the National Association of Insurance Commissioners. Website: You can find an agent and access your policy, billing and claims information and, in some cases, your appraisal information. You also can pay your bill online. The Chubb mobile app is the company’s one-stop assistance app. Customers can update their personal information, summon roadside assistance and chat with representatives. Chubb’s Mobile Estimate app lets you get car repair estimates after an accident. You can record your car’s vehicle identification number, take a photo of the damage and get a repair estimate through the app within a few hours. Chubb says some settlements are even finalized the same day. Chubb’s Travel app can help you manage a travel itinerary, find medical services locations and send you travel alerts. Chubb Travel Smart is an app that allows you to read up on travel risks by destination. You can also see local weather, dangers, and get instant access to medical and security assistance. Other insurance is available from Chubb’s family of companies, including supplemental life and health insurance. Watercraft insurance, including coverage for luxury yachts. Travel insurance, including coverage for valuables while you travel. Valuable articles insurance, including jewelry, art and other collectibles. Umbrella insurance, up to a $50 million limit.